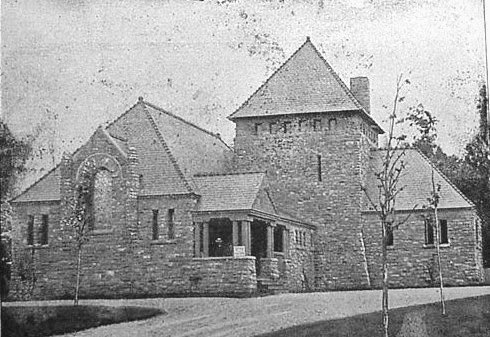 "The Buffalo Cremation Company erected their crematory on Delavan Avenue in Buffalo, New York, and its first cremation took place on December 27, 1885." 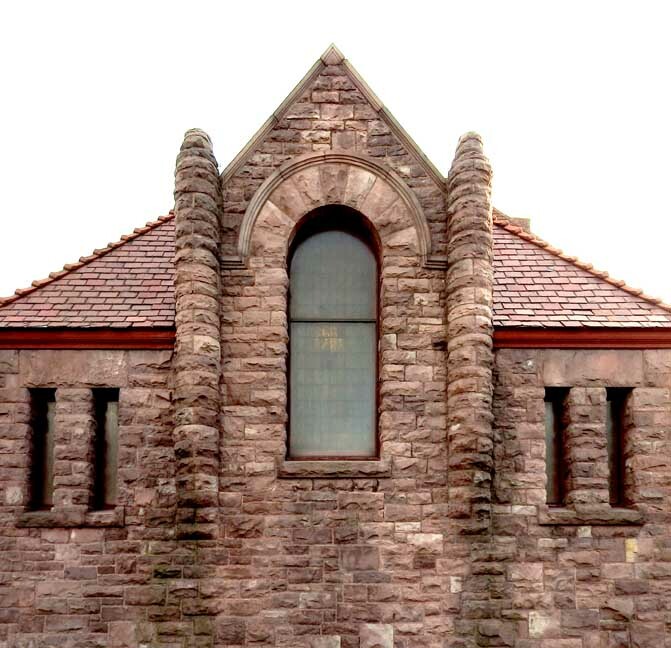 Tower: terra cotta finial and shingles on pyramidal roof ... Decorative loophole. 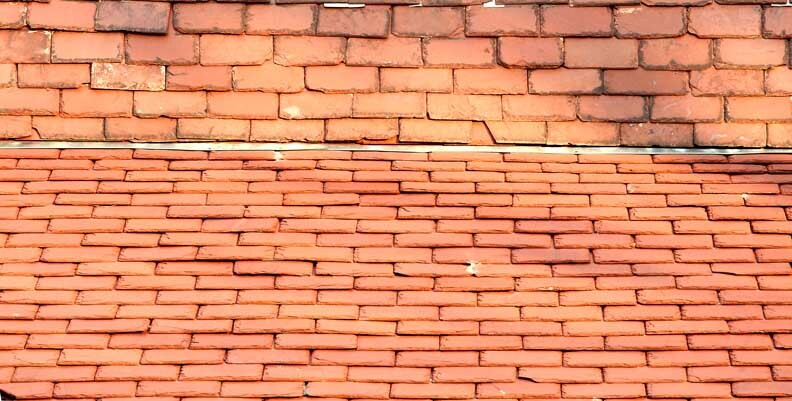 Roof at left: terra cotta ridge tiles on terra cotta shingled roof. Buffalo Cremation Co. (Limited)-Incorporated May, 1885, under the general business act of 1775, of the State of New York. The company is organized with a philanthropic and sanitary motive. The stock, when once paid up, is non-assessable, and not liable for the debts of the company. Capital, $15,000. President - Charles Cary, M.D. Vice-President - D. W. Harrington, M.D. Secretary - Cyrus K. Remington, office 84 Erie County Savings Bank. In the British Isles, the movement was fostered by Queen Victoria's surgeon, Sir Henry Thompson. Concerned with hazardous health conditions, Sir Henry and his colleagues founded the Cremation Society of England in 1874. The first crematories in Europe were built in 1878 in Woking, England and Gotha, Germany. As far as we can discover, the first crematory was built by Dr. Julius Lemoyne in Washington, Pennsylvania, in 1876. 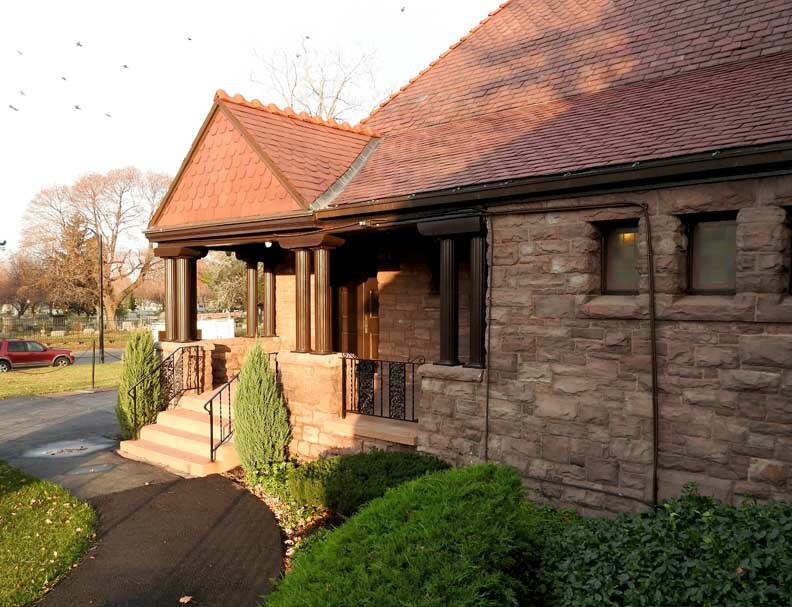 The first person cremated in this crematorium was Baron LePalm, in the same year. 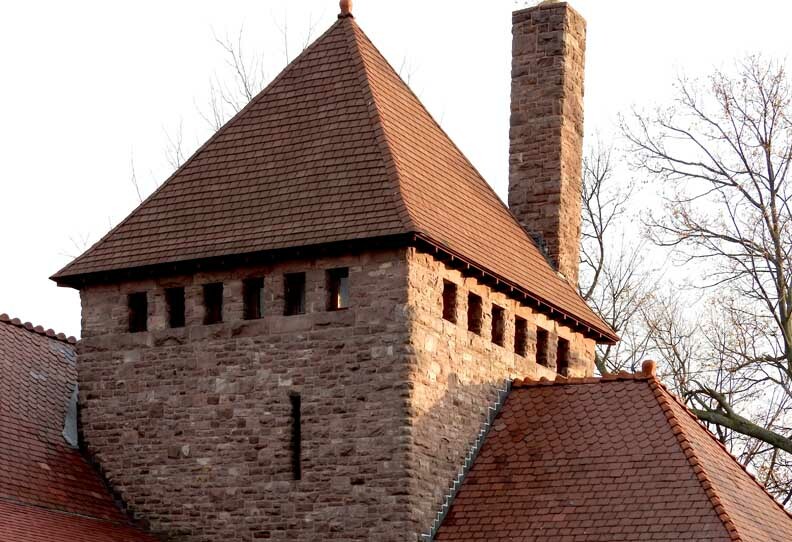 (Dr. Lemoyne had built this crematorium for the cremation of his own body - he was so strongly averse to burial.) The popular disapproval of this innovation was so active that police reserves were called out in New York City to allow the departure of the body. The furnace was the old fashioned coke, preheated type, 24 hours to heat, 2 hours to cremate and another 24 hours to cool. 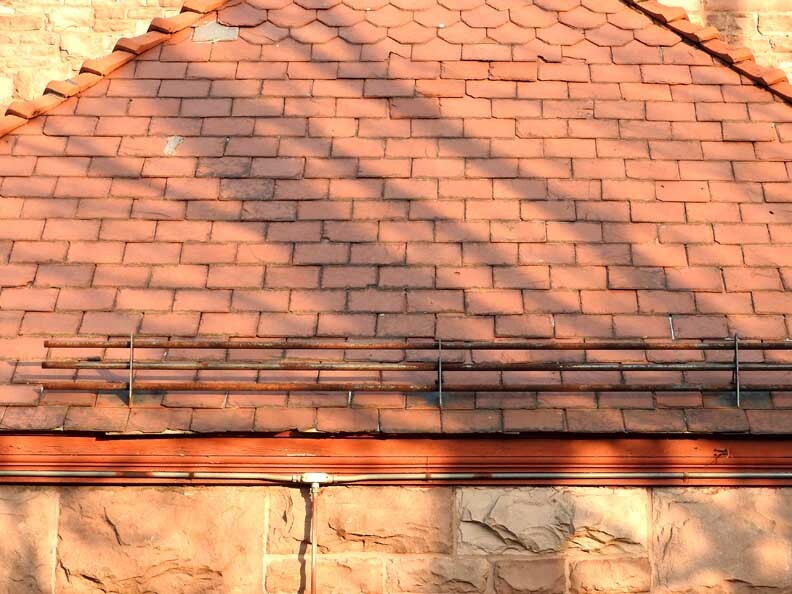 A tablet in memory of this beginning of the modern cremation movement has been placed on this little brick crematory by the Cremation Association of America by Dr. Hugo Erichsen, its founder. The public crematorium movement was really started by the sons of Dr. Corey of Buffalo, New York. Dr. Corey, somewhere about the early eighties, died in Europe and was cremated in an Italian crematorium. 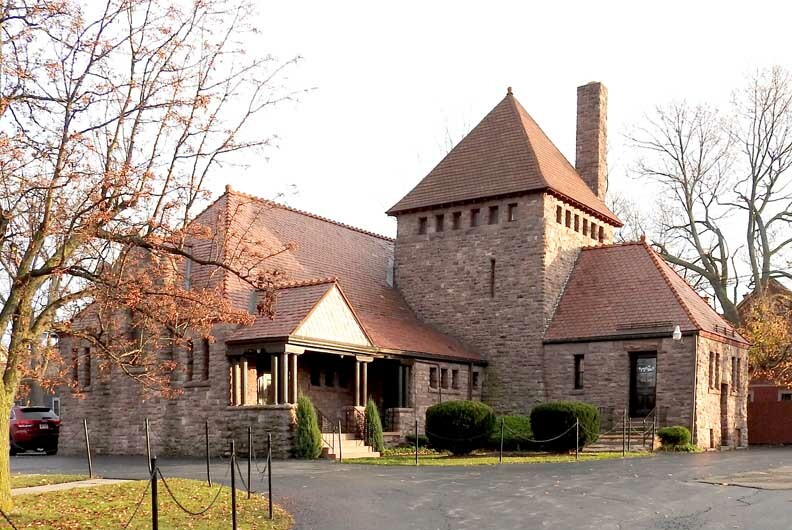 His sons, upon return to Buffalo, decided to organize the Buffalo Crematorium for public use. They brought the Italian workmen and materials from Europe and installed a wood alcohol, gas producing and burning retort, which was used intermittently with gas supply to date. THE BUFFALO COURIER: MONDAY, JANUARY 27, 1896. Work of the "Purifying Flame" in Buffalo. 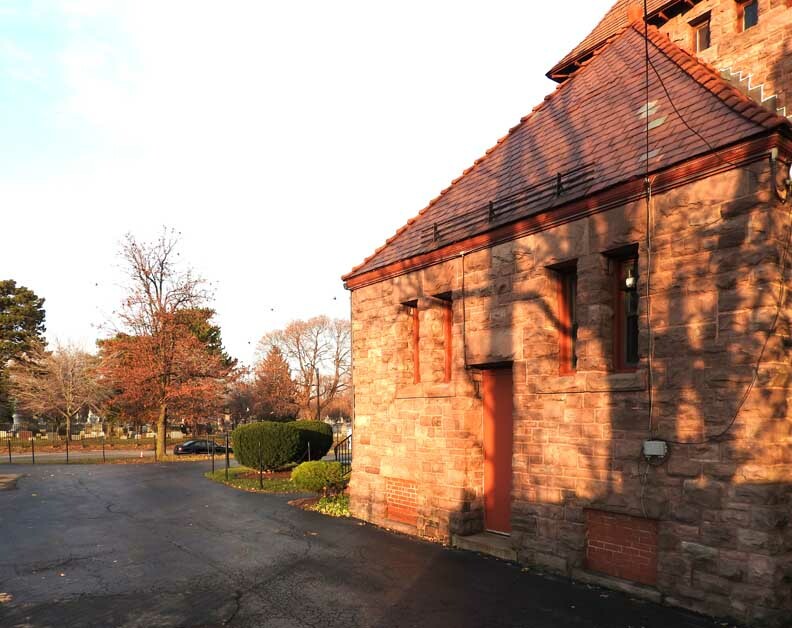 It Is gratifying to the members of the Buffalo Cremation Company that the number of cremations at the Buffalo Crematory in 1885 largely exceeded that of any previous year in is history. The first crematory operated in America was constructed by Dr. Julius Le Moyne, in Washington, Pa., in 1875. During the first 10 years, only 10 bodies were incinerated there. During the second decade 264 bodies were cremated in Washington, Pa. Since then the spread of crematoria has been rapid and there Is a crematory in every large city in the land. The funeral pyre was one of the earliest ways of disposing of the human dead in many countries, and was the general rule until the close of the fourth century among the Romans. In Egypt embalming was the common method, in Judea burial in sepulchers was resorted to, and the Chinese always made their interments in the earth. During plagues the ancient Jews resorted to cremation, probably for sanitary reasons. In some countries where cremation is abhorred, fire is held sacred and must not be polluted. Other nations practiced cave-burial, desiccation, exposure, suspension, casting into the sea, and envelopment. In some cases, the ashes from an incinerated body are cast to the winds and the Digger Indians mix a resinous gum with such ashes and smear the heads of surviving relatives with the mixture. It is undoubtedly true that the opposition to cremation among Christians is due to the belief of such in the resurrection of the body, but science, which has shown that burning merely produces quickly- what putrefaction takes a long time to accomplish, has done much to break down this feeding. Ten years ago the Pope issued an edict against cremation, but two years ago it was removed and now, where the parish priest consents, cremation is permitted. John G. Milburn, Ansley Wilcox, Charles Kamper, David Tucker, Arthur W. Hickman, Judge Robert C. Titus, James B. Stafford, Dr . C. Cary, E. L. Parker, George E. Laverack N. S. Rosenau. Judge E.W. Hatch Dr. D. W. Harrington, B. B. Glenny, Miss Maria Love, B. C. Rumsey, L. G. Sellstedt, Dr. Henry R. Hopkins, C. K. Remington, George P. Sawyer, Dr. S. W. Pattison, J. S. Moore, J. C. Beecher, Dr. F. W. Abbott, S, S. Spaulding, Dr. P. W. Van Peyma, Carlton Sprague, C. E. Williams, D. P Rumsey, F. A. Bell, T. Guilford Smith, Dr. C. Weil, Dr. W. W. Potter, Dr. Roswell Park. Frank M. Loomis. Dr. J. S. Armstrong, Dr. Frederick Peterson, Bronson Rumsey, Dr. J B. Coakley, John N. Scatcherd, Dr. John Pryor, Hiram C. Day, G. A. Davis, Dr. A. Dagenais, Dr. W. H. Heath, C. W. Hammond, Dr. J. W. Putnam, Joseph P. Dudley, Dr. Walter D. Greene, Dr. A. H. Briggs, L. D. Rumsey, Dr. Lee H. Smith, Dr. John Hauenstein, Dr. Delancey Rochester and H. C. Harrower. The Hoffman cremation last week was the third incineration performed here this year. The first incineration was in 1885 and was a test case. 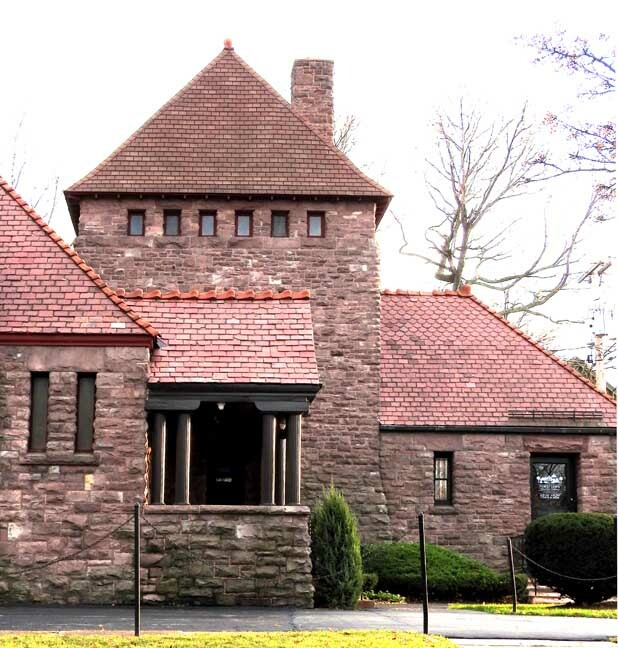 Since that time the record at the Buffalo crematory is as follows: 1886, eight cases; 1887, 17; 1888, 16; 1889, 23; 1890, 30; 1890, 30; 1891, 37; 1892, 27, 1894, 32; 1895, 44; total, 268. 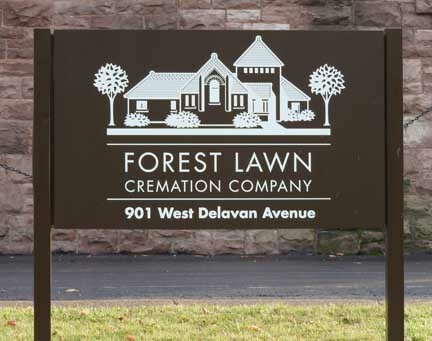 The crematory is situated on Delavan Avenue, near Delaware and directly opposite Forest Lawn, which is one of the most extensive and beautiful cemeteries in the United States. 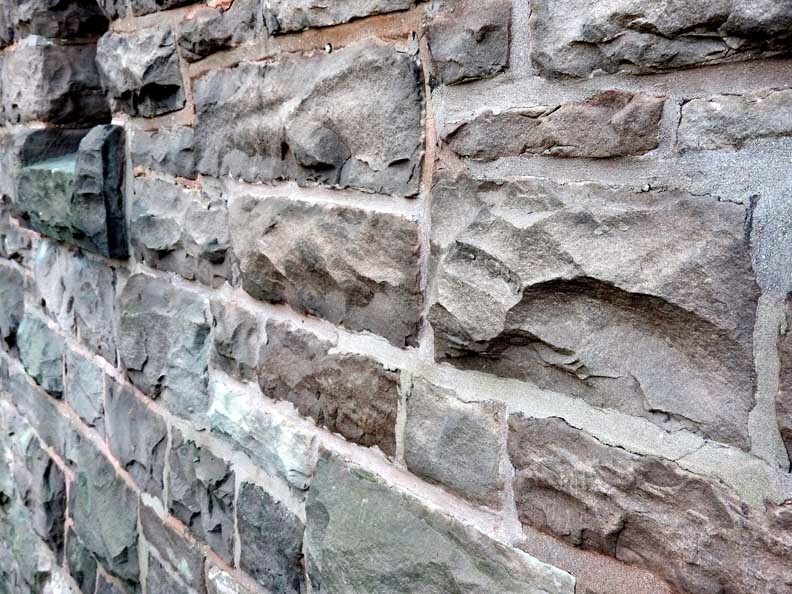 It is built of dark brown sandstone, in a plain, substantial style. In the summer months, when the handsome little structure is covered with ivy it reminds one of the small chapels built in England centuries ago. 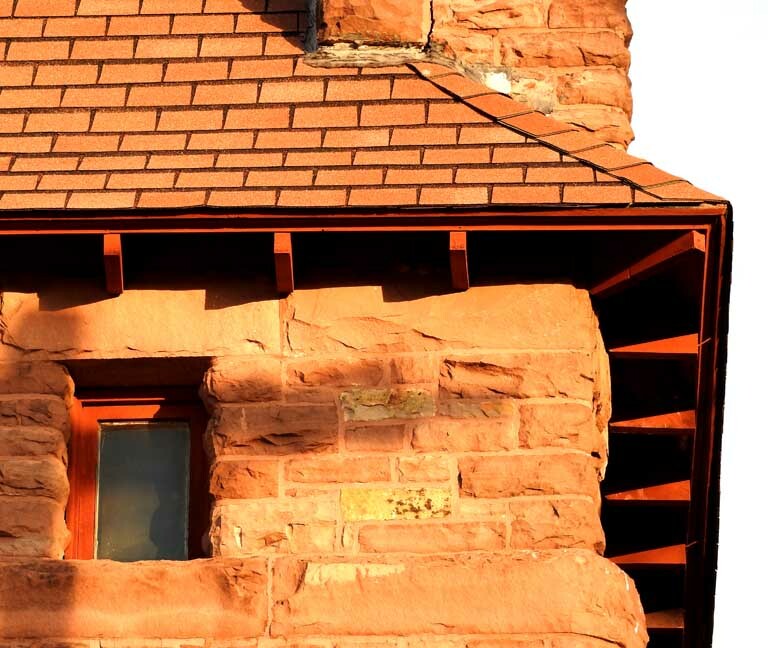 The building is admirably suited for the purpose for which it is intended. It is one of the finest crematories in America. and the incinerations are conducted amid surroundings suited to their solemn and impressive character. The temple for the performance of the last rites over the dead is a handsomely decorated chamber. The chancel is decorated in the early Italian style. There are many different symbols and devices interwoven in arches of peacock-green and blue, while the windows, of stained glass, cast a dim light, mellow and religious. . Bodies for incineration are usually taken to the crematory in an inexpensive coffin, which is returned to the undertaker. The company's charge for incinerating is $25. While the mourners are assembling in the temple, the body is taken to an anteroom to the left of the chancel. Here there is a bier, draped with mourning emblems, and the body is placed upon it. By means of an invisible cable, the bier is then drawn to the chancel, and after the ceremonies, the bier glides slowly out of the chancel, the mourners disperse and the incineration is conducted privately in the presence of two official witnesses, representing the family of the subject. After the flames have done their work, the ashes are gathered and placed in an urn. 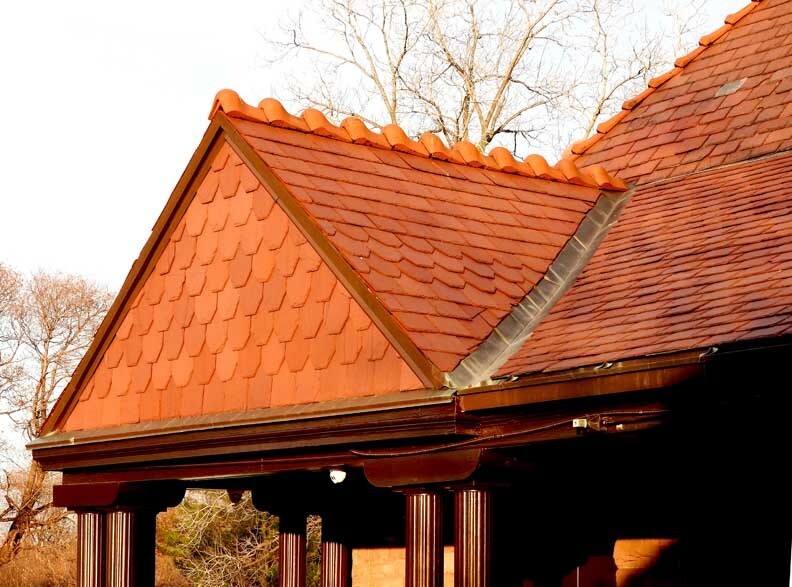 These are made of terra cotta and some are lined with zinc. These urns may be buried in a crematory, placed in a sarcophagus, or left in the temple. It is expected that a handsome columbarium will be erected adjacent to the crematory some time in the near future. The furnace was made in Milan, Italy, and was placed in position under the supervision of Signor Giuseppe Geronimo of Milan. The system is what is known' as the Venini system. The incinerating chamber is to the right of the chancel, and the body rests on fire-brick columns. In the basement there is a gas generator, which is a simple fire pot about four feet in a vertical measurement, and two feet laterally. The air for combustion is admitted through a grate in the bottom and is not sufficient to allow the ignition of the entire mass of small wood that is heaped on the fire. The result is the fire at the bottom distills the wood at the top, and the gases of distillation and combustion of wood are carried to the back end of the incinerating chamber, on the floor above; here these gases are met by air heated in a chamber outside of the furnace, where the two are ignited by a fire which is kept burning immediately under their point of union. The Bunsen flame thus produced is thrown quite across the incinerating chamber and hence it is carried back beneath a retort by a flue into the basement to a chimney, which is about 40 feet high, and so to the open air. 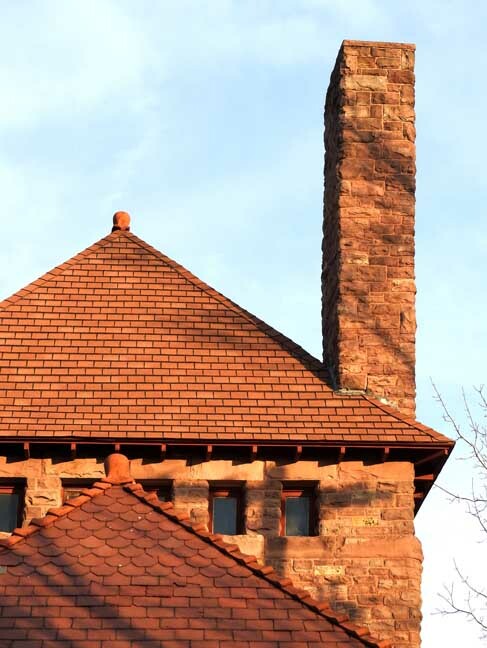 A certain amount of gas is also burned in the flue beneath the incinerating retort and also at the bottom of the chimney. The Bunsen burners play directly upon the body and by their tremendous heat (2,500 degrees Fahrenheit) liberate the gases of the body, which being burned in the retort, are carried into the flue beneath; here another Bunsen flame ignites such combustible material as has not been consumed in the retort. At the foot of the chimney there is a third Bunsen burner, where the combustion is finished. Supt. William Legg, who has been in charge of the crematory for four years, is an authority on crematoria. He says it takes about one hour to heat the furnace and about two hours to perform an incineration. Proper precautions are taken by cremationists to guard against thwarting the ends of justice by incinerating a body which might have been the subject of foul play. To this end the attending physician is required to present a sworn affidavit that he "has examined carefully and separately all the circumstances connected with the death and illness of the deceased and that to the best of his knowledge and be-lief there exists no reason why the said deceased person should not be cremated." And believing that the modern process of Incineration provides the quickest and safest mode of such disposition, and is preferable to any other, both on grounds of sentiment and of fact; I hereby solemnly express to my survivors my earnest desire and request that on my decease my body shall be cremated at the Crematory Temple la Buffalo, N. Y., or at such other convenient place as shall furnish the proper facilities.